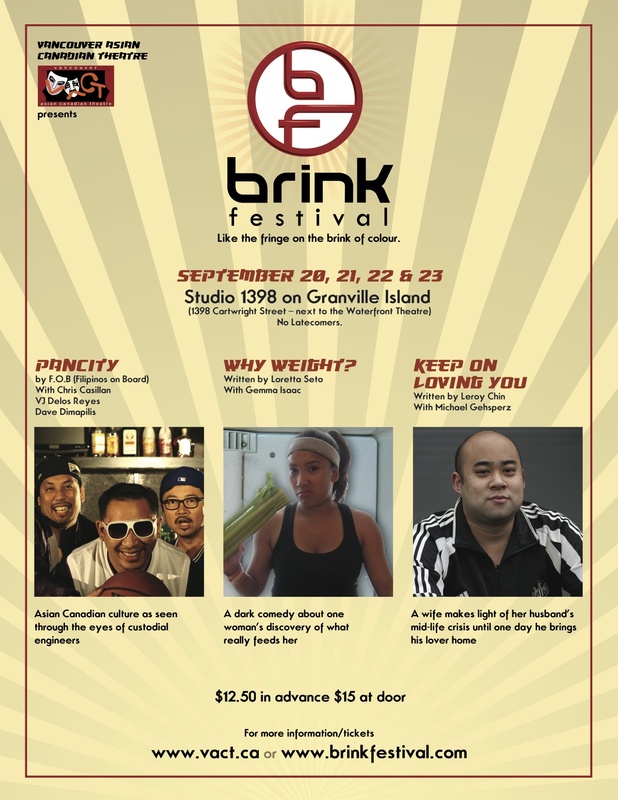 The Vancouver Asian Canadian Theatre (VACT) is producing the Brink Festival at Studio 1398 on Granville Island from September 20 – 23, 2012. 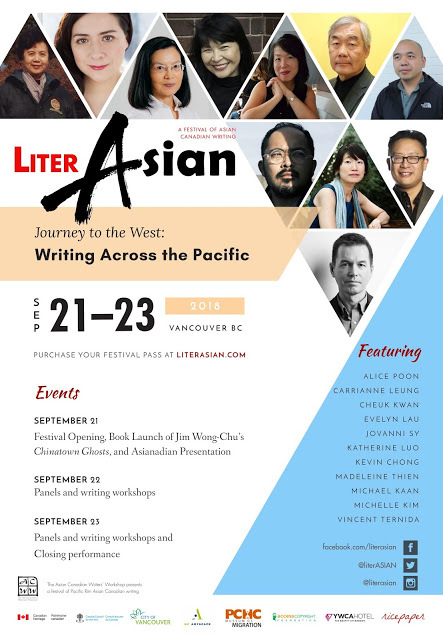 This festival will represent Asian Canadian actors, playwrights and stories that were randomly not selected through the lottery format of the 2012 Fringe Festival. VACT feels that the Brink Festival will complement the Fringe Festival by providing a more colourful representation of greater Vancouver’s community and allowing those applicants a means to showcase immediately after the Fringe. 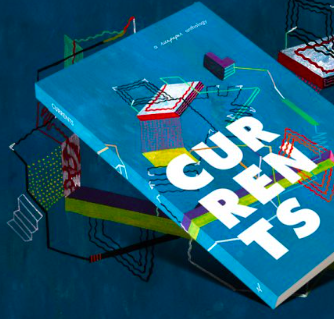 Reflect the cultural diversity of Vancouver by presenting various Asian Canadian stories written with Asian Canadian characters. Showcase Asian Canadian actors, playwrights and directors. Respect and promote understanding of the cultural dilemmas facing dual heritages (Asian heritages and Canadian heritage). Attract the mainstream audience to a VACT production of diverse theatre with universal themes of assimilation, identity & immigration.